Irish Continental Group (ICG) is an Irish shipping and transport group operating ferry services via its Irish Ferries subsidiary and container freight services via its Eucon Shipping and Transport subsidiary on routes between Ireland, the United Kingdom and Continental Europe. The Irish Continental Group also operates container terminals in the ports of Dublin (Ireland) and Belfast (Northern Ireland) and is also in the ship chartering business. The Irish Continental Line was formed via a joint venture between Lion Ferry, Irish Shipping and Fearnley & Eger in 1972 in order to provide a direct ferry link from Ireland to Continental Europe. Irish Shipping went into liquidation in 1984 and Irish Continental Line was sold off in a management buyout and emerged as the Irish Continental Group. In 1992 the Irish Continental Group acquired The British and Irish Steam Packet Company (trading as the B&I Line) from the Irish Government. Following its acquisition the routes of B&I and ICG were rebranded Irish Ferries. 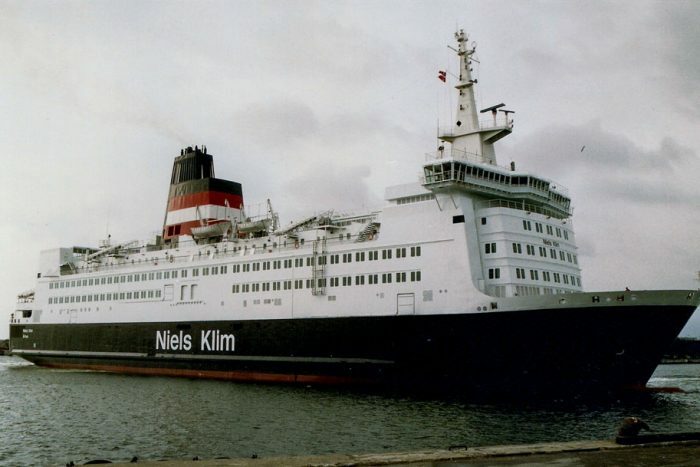 MV Dubrovnik, ex Duchesse Anne, Connacht – Steel twin screw motor vessel built in 1979 at Verolme Cork Dockyards Ltd, Cork, Ireland (Yard No 955) for B&I Steam Packet Co, Dublin, Ireland as a passenger and vehicle roll-on roll-off ferry. MV Express Limnos, ex Express Athina, Panagia Tinou 2, Moby Love, Prins Philippe – Steel twin screw motor vessel built by N.V. Boelwerf S. A., Temse, (Yard No. 1476) in 1973 for the Regie voor Maritiem Transport (RMT) service as a passenger and roll-on roll-off car ferry. Engined by Chantiers de l’Atlantique, St. Nazaire. MV Fjardvagen, ex Norman Commodore, Pride of Portsmouth, Mads Mols, Mads Trader, Merchant Trader, Sir Lamorak, Lakespan Ontario, Lady Catherine, Lune Bridge, Norcliff, Anu – Steel twin screw motor vessel, built in 1972 by Ankerlökken Verft A/S, Florø, Norway (Yard No. 90 ), for Alander Frachtschiff GmbH, Hamburg as a roll-on and roll-off passenger and commercial vehicle ferry. MV SPL Princess Anastasia, ex Bilbao, Pride of Bilbao, Olympia – Steel motor vessel, built in 1986 by Oy Wärtsilä Ab Åbo Finland (Yard No. 1290) for Rederi Ab Slite, Sweden, as a passenger and roll-on roll-off car and commercial vehicle ferry. MV Apollon, ex Express Apollon, Apollo Express, Senlac – Steel twin screw motor vessel built at the Arsenal de Brest , (Yard No. CF 3), for the British Railways Board in 1972.